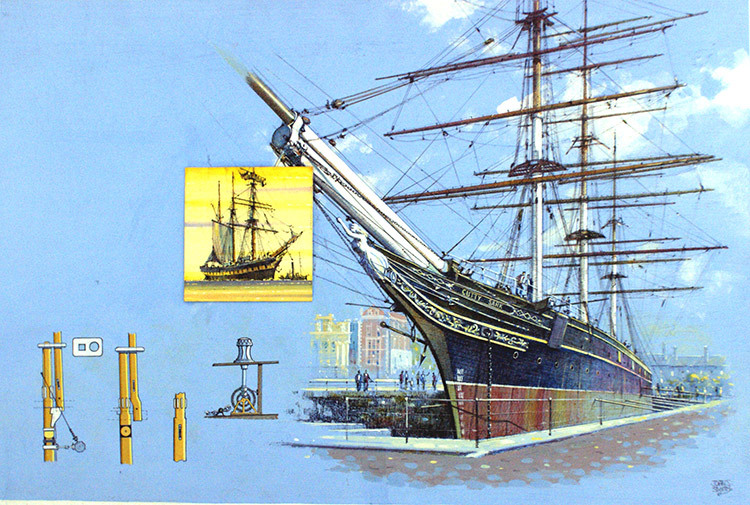 The Cutty Sark resting in dry dock at Greenwich, London, with inset picture showing the ship in the Indian Ocean. It's Maritime England 1982: The Pride of the Fleet. The tea clipper Cutty Sark, with various arrangements of mast head (bottom left). This is the original artwork from Look and Learn no. 1045 (20 March 1982).